The Formula One Season is reaching its climax with only 6 races left. With Vettel leading the championship he must be heading for the Formula One Hall of Fame. However who is already there? We take a look at a few of those we believe are the greatest Formula One drivers of the past. One of the greatest and well known Formula One drivers was Ayrton Senna. He was a Brazilian driver who drove for a decade between 1994 and 2004. He drove for Williams, Lotus, McClaren and Tuleman. He won a total of 3 World Championships and held the record for the most pole positions until 2006. He was killed aged only 34 when his car careered off the track and into a wall at high speed while leading the 1994 San Marino Formula One Grand Prix. There have been no further deaths in Formula One since his accident. Michael Schumacher competed in the Formula One World Championships between 1991 until his retirement in 2006. During this time he won 7 World Championships and hold numerous race records. In 2002 he became the only driver to finish on the podium in every race in the season. According to the Formula One website he is “statistically the greatest driver the sport has ever seen”. He was not without controversy and was involved in race deciding collisions most famously in the 1994 Australian Grand Prix when his collision with Damon Hill sealed the championship for him. 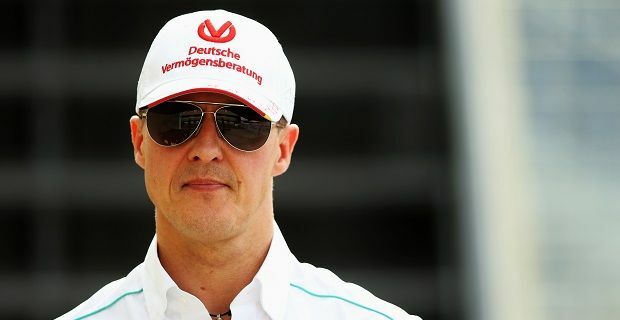 He made a comeback to the sport in 2010 coming out of retirement to join Mercedes however he did not repeat his previous success and went back into retirement in November 2012. One of the early drivers of Formula One Argentinian racer Fangio is acknowledged as one of the best of all time having won the World Championship five times – a record only beaten by Michael Schumacher. He holds the highest winning percentage of races he entered – 46%. Fangio competed at a time of little protective equipment or safety features. He competed in his last race in 1958. After retirement he was honorary President of Mercedes Benz Argentina. He passed away in 1995 aged 84. A French driver who has won three World Championships. He competed during the 1980’s and drove for McLaren, Renault, Ferrari and Williams. He held the record for most race victories until Michael Schumacher surpassed it in 2001. He was awarded the World Sports Awards of the Centuryin the Motor Sports Category in 1999. Prost had an ongoing rivalry with fellow competitors particularly Ayrton Senna with whom he had a controversial crash in the 1989 Japanese Grand Prix. He was knick named The Professor due to his skilled and intelligent driving style. He retired from Formula One in 1993 having won that year’s World Championship. How can we pick just one British driver? There have been numerous hugely successful ones. Top of our list are Sir Stirling Moss, Jim Clark, Jackie Stewart and Nigel Mansell.